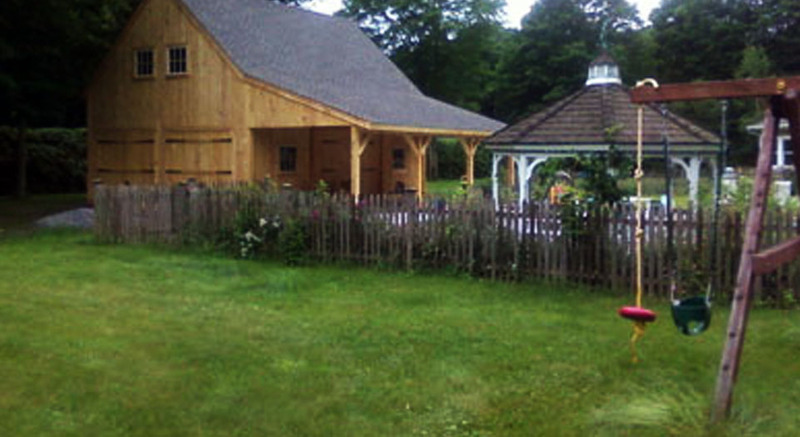 Building timber post-and-beam homes, porches, barns, garages and more for residents throughout Middlesex County, Connecticut and across the state. At Post & Beam Homes we can provide custom timber framing for your residence. We can also retrofit timber framing to your home’s exterior as well as the interior so you can achieve that rustic cabin look. 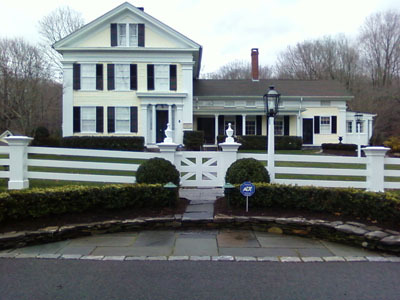 Our team of timber experts also specializes in custom fence construction for residents throughout Connecticut. As post professionals, we know just how to treat and assemble our wood so that your fence will last for years to come. 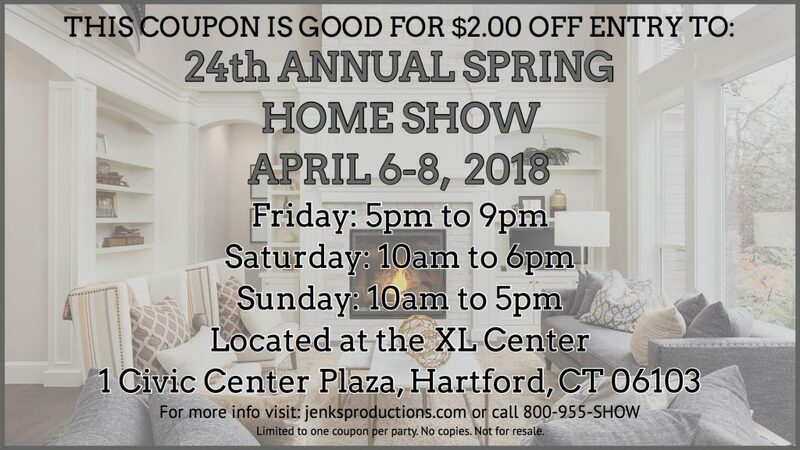 Interested in adding on to your home? Consider a Post & Beam custom porch. We can frame your new porch off of your existing structure so that it seamlessly flows and looks like it was always meant to be there. Our team of builders can design and construct custom timber barns as well as pool houses, garages, sheds and more. Our solid wood exterior structures are customized to fit your needs, zoning requirements, style and budget. We have 24 home design renderings and floor plans available in our planning kit so you can find the best framing plan for your family, lifestyle, and budget. We’ll even make additions or modifications to one of our existing renderings at no extra cost. Post & Beam Homes was founded in 1976 and continues to make its mark in the construction industry as a leader in timber framing. Our home framing packages have been sent around the world and we continue to strive to be Connecticut’s number one resource for quality timber craftsmanship. When you chose Post & Beam Homes for your timeless timber framing needs you’re choosing professional craftsman that have years of experience in this centuries old building method. Select from eastern white pine, red or white oak, or Douglas fir for your framing, barn construction, porch or fence needs. Today, most homes and buildings are constructed with dimensional lumber, your standard 2x4s, however the post-and-beam method, also known as timber framing, uses heavy timber beams to frame structures. Timber framing dates back before the 19th century and has continued to be a popular method of construction for those that desire the old-world aesthetics. Thanks to new technology, post-and-beam construction has developed over the years to become energy efficient and cost efficient, while still retaining the natural craftsman look that makes it so popular. Based in East Hampton, Connecticut, Post & Beam Homes extends services throughout Middlesex County and around to the rest of Connecticut. We’ve also sent timber framing kits around the world including Israel. 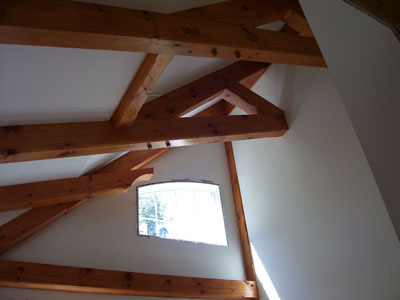 To learn more about our timber framing services call us at 860-267-2060 or get a free quote! 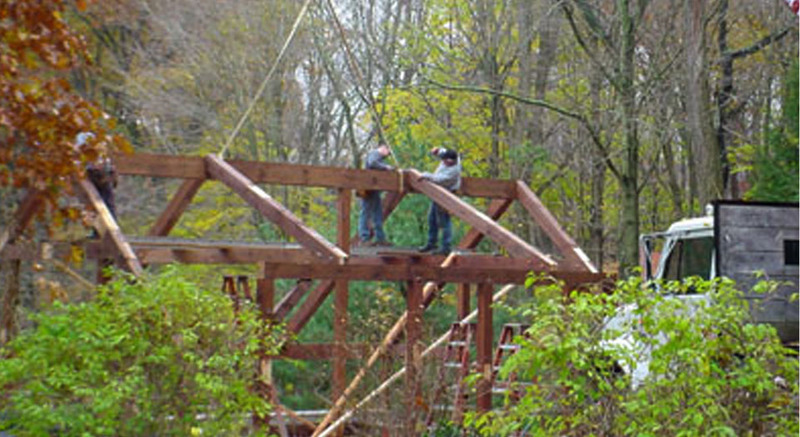 Post & Beam Homes provides custom timber framing services for homes including porches, barns, garages, fences and more throughout Connecticut. 860-267-2060.